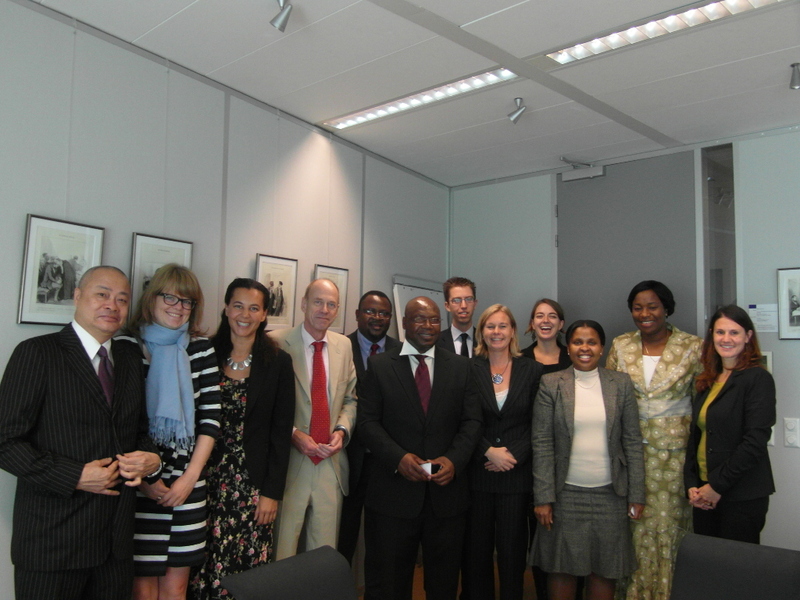 Judges for Judges joined a statement on Swaziland’s Universal Periodic Review. Judges for Judges (J4J) participated in the International Fact Finding Mission in Swaziland (IFFM-SZ) held in May 2015 by the ICJ, in collaboration with the Africa Judges and Jurists Forum ( AJJF) and the Commonwealth Magistrates’ and Judges’ Association (CMJA). On 18 February 2016 the report was presented that scrutinizes judicial independence and accountability in Swaziland and makes several findings and recommendations regarding the independence and accountability of the judiciary in the country.The mission was conducted at the backdrop of a number developments of concern for the independence and accountability of the judiciary in Swaziland. Presenting the Mission’s findings, the ICJ Africa Regional Programme Director, Arnold Tsunga urged the Crown, Judiciary, civil society and international community to collectively work towards the implementation of the recommendations to strengthen the institutional and structural independence of the judiciary thereby restoring citizen’s and stakeholders confidence in the judiciary and the rule of law. The ICJ today made an oral statement at the UN Human Rights Council, in the interactive dialogue with the Special Rapporteur on the independence of judges and lawyers, responding to her report on her visit to the Russian Federation. The statement also highlighted the case of reprisals against judge Maria Lourdes Afiuni from Venezuela, and the arbitrary detention and unfair trial of human rights lawyer Thulani Maseko and journalist Bheki Makhubu in Swaziland. The statement affirmed that although some progress has been made in legal and institutional reforms to develop an independent and impartial judiciary in Russia, advances remain extremely fragile and are threatened by retrogressive legislative measures, by corruption and by undue influence. The greatest obstacle is a pervasive mind-set amongst judges who see themselves as executive officials rather than as exercising an autonomous judicial role. The statement discussed improper influence in selection, appointments and removals of judges in Russia. It also stressed concerns around the merger of the Supreme Court and High Arbitration Court into a new unified Supreme Court for the Russian Federation. The ICJ also highlighted the case of Judge María Lourdes Afiuni from Venzuela, emblematic of a wider crisis for the rule of law in Venezuela. After a lengthy period of arbitrary detention in which she was subjected to gross abuses, she remains enmeshed in a seemingly endless criminal procedure. She was targeted solely for having duly performed her functions as a judge, after she ended a detention that had been recognised as arbitrary by the Working Group on Arbitrary Detention. The statement also thanked the Special Rapporteur for her press release, issued jointly with three other special procedures on 12 June, about human rights lawyer Thulani Maseko and journalist Bheki Makhubu, who are under arbitrary detention and unfair trial in Swaziland. The representatives of Venezuela interrupted the ICJ statement, invoking a point of order. In her closing comments, the Special Rapporteur reiterated her concerns about the case of Judge Afiuni, calling once again for all charges against her to be dropped and for her to be reinstated. The ICJ June 2014 report on the rule of law in Venezuela is available here. A 2012 ICJ report on disciplinary procedures applicable to judges in Russia is available here. Source: 16.06.2014. http://www.icj.org/?p=29677. Republished with permission. Rechters voor Rechters zet zich in voor ontslagen en in hun positie bedreigde rechters in Swaziland en vraagt daarvoor uw financiële steun. Rechter Masuku uit Swaziland is ontslagen omdat hij zich in een vonnis kritisch uitliet over de koning van dat land. Op 26 september 2011 was Masuku in Nederland. Rechters voor Rechters sprak toen met hem. Lees hier ons bericht daarover. 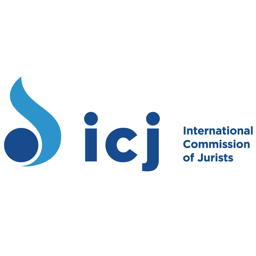 Namens Rechters voor Rechters bezocht Ilan de Vré een bijeenkomst van de International Commission of Jurists in Genève. Hij sprak daar met Masuku en met enkele van zijn collega’s uit Swaziland. Meerdere rechters daar worden in hun positie bedreigd. De ICJ ondersteunt Masuku en begeleidt hem bij de te nemen juridische vervolgstappen. Rechters voor Rechters heeft, op verzoek van de ICJ, in dit specifieke geval besloten, een financiële bijdrage te leveren. Rechters voor Rechters heeft al een bedrag gestort maar omdat deze slechts beperkt van omvang kon zijn, roepen we u op genereus te zijn en een aanvullende bijdrage te storten op bankrekeningnummer 8071562 t.n.v. Rechters voor Rechters o.v.v. Masuku. 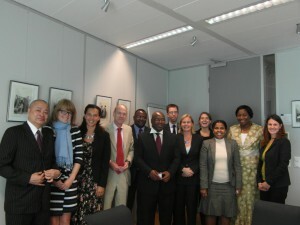 Op maandag 26 september 2011 ontving de stichting Rechters voor Rechters Judge Thomas Masuku uit Swaziland. Tegen Judge Masuku loopt momenteel een afzettingsprocedure. Bij deze afzettingsprocedure kunnen, zowel qua aanleiding als qua gang van zaken, grote vraagtekens worden geplaatst. Masuku wordt er onder meer van beticht dat hij in een vonnis de koning van Swaziland te hebben beledigd. Achtergrondinformatie kunt u hier vinden.